This 14 oz plastic Stein is one of the most affordable and professional promotional plastic drink steins available online. 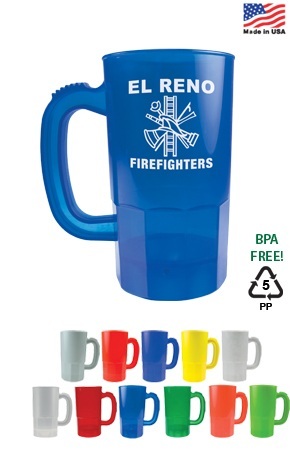 All our plastic drink steins are perfect for any fund raising, sporting, indoor or outdoor event. All of our custom plastic drink cups can be customized with whatever you want!